LDC UDC Muawan Trolly Man Khalasi Guards Jobs in Pakistan Railways has been announce. Last date to apply is Monday 10 December, 2018. 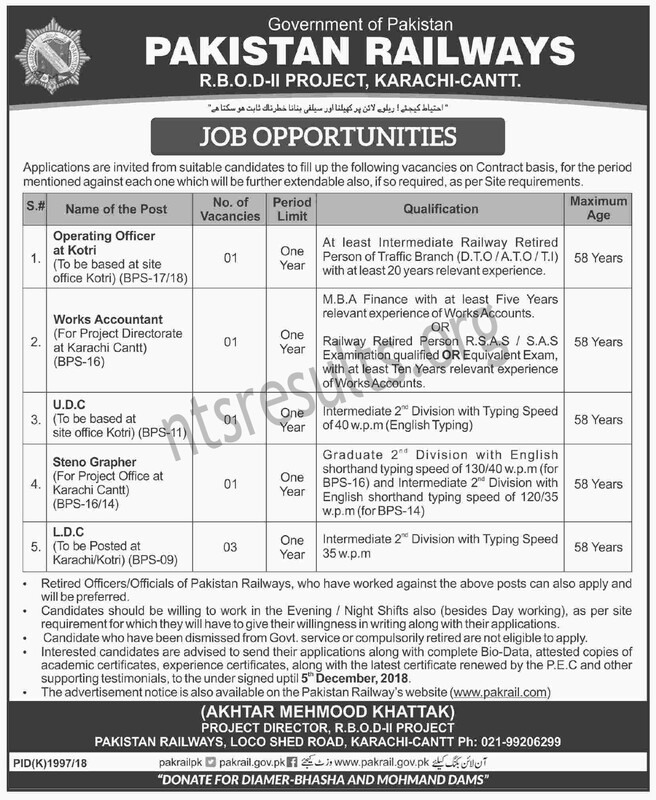 Total 57 vacancies has been announce in Pakistan railway. Pakistan Railways is the national, state-owned railway company of Pakistan. Founded in 1861 and headquartered in Lahore, it owns 4,800 miles of track across Pakistan from Torkham to Karachi and operates freight and passenger service. Pakistan Railways was also known as the Pakistan Western Railway from 1947 to 1974. The maximum education require for the jobs in Pak Railway is Matriculation. All those candidates who are eligible for Muawan Trolly Man Khalasi Guards Jobs in Pakistan Railways must apply to grab this golden opportunity. Terms & conditions as well as all other requirements for Railways Jobs are describe below. Attested copies of Educational Certificates. Attested copy of Character certificate. Three Attested passport size photographs. Applicant must mention name of Category/Quota as well as Post applied for clearly on the envelope. Last date to apply for Pakistan Railways Jobs is December 10, 2018. Only those candidates will be called for test/interview who fulfill the eligibility criteria. Number of posts can be increase or decrease with out any notice.